On Monday Olympic gold medalist gymnast Aly Raisman visited UNT as part of the Distinguished Lecture Series. 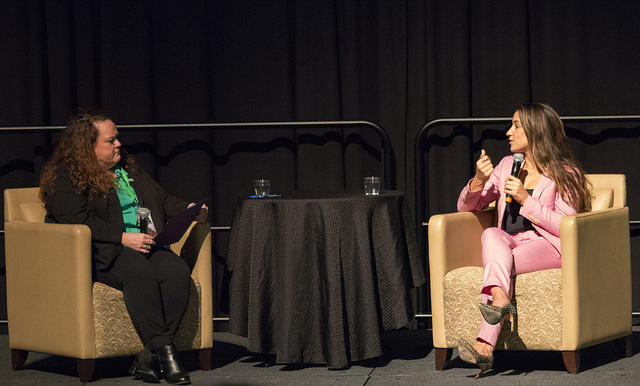 In a question and answer session with Dean of Students Maureen McGuinness, Raisman discussed various topics including health and wellness, self-care, body positivity and the importance of advocating for sexual abuse victims. 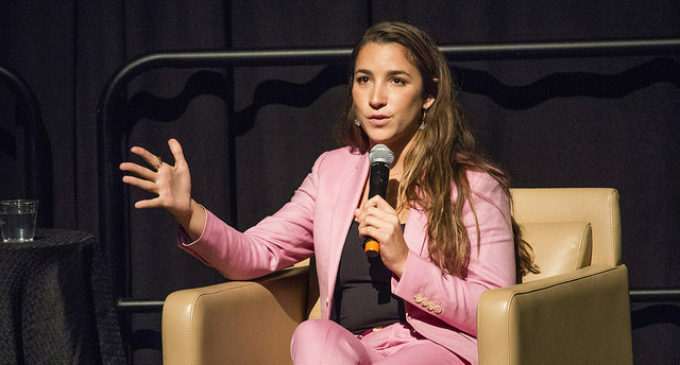 A recurring theme of the lecture was survivor advocacy, as Raisman herself is a survivor of sexual abuse. She uses her platform to advocate for other individuals that may be dealing with the anguish of sharing their story. While Raisman is appreciative of her position as an Olympic athlete and the platform it has given her, she said more focus should be placed on survivors who are not necessarily in the public eye but still want to share their stories. Raisman cited Princess Diana as the celebrity she would choose to have dinner with if able to and cites her work and impact on the world as particularly inspiring. Communication design junior Gabriela Pesqueira said she thought the lecture was great. Though she was grateful for the opportunity to hear Raisman speak, marketing junior Laura Sanford said she wished more questions pertaining to her gymnastics career had been asked, especially aspects of it others may be not be as familiar with. For survivors of abuse that may be apprehensive about sharing their stories or are struggling to get the help or answers they need, Raisman encouraged them to continue fighting. Raisman said she wants people to know that whether they are a survivor or otherwise, everyone has the power to help others. “Just remember that we’re all going through something and never underestimate the power that you have to be a good person and to help other people,” Raisman said.